Technology and health have successfully converged in the past few years. 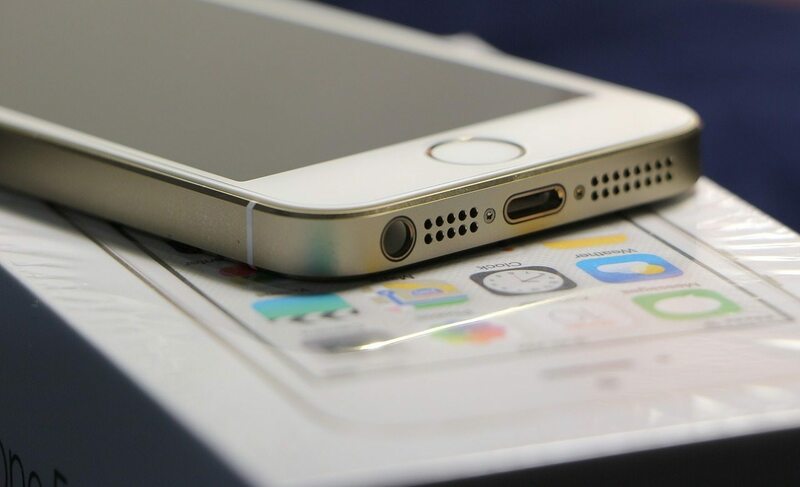 Apple’s products have become the favorite devices used by various app manufacturers. Notably, the Apple Watch has health checkers and numerous fitness apps. This time though, 6SensorLabs overdid themselves and created a portable gluten tester on your iPhone. 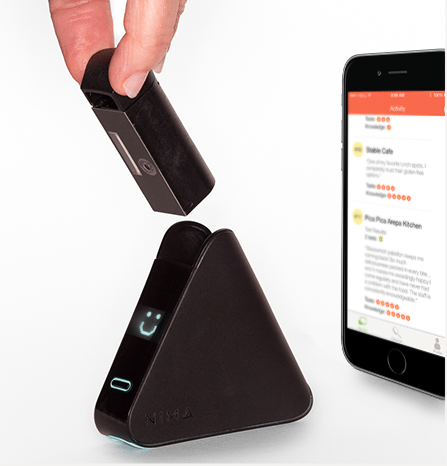 Yes, you read that right – there is now a portable gluten tester for the iPhone, called Nima. The app joins the list of numerous medical apps available on the App Store, ranging from managing diabetes and even preventing blindness. Though we’re sure there’s less in some of these these apps compared to what has bee advertised, but Nima is definitely legit: after all, it’s like a portable chemistry set! Should you be excited and order your own Nima set now? We’ll try to answer that first – after all, as a consumer, it’s always best if you make educated decisions whenever you purchase something new. Let’s take a look at some of its specs, capabilities, and how it works in ensuring you won’t get food poisoning. In a nutshell, Nima is a portable sensor that tests both liquid and solid foods for the presence of gluten in just two minutes. This may not sound like a big deal at all, but to some people, gluten can cause adverse reactions. Basically, gluten is mixture of proteins that are found on wheat and other grains, such as barley and rye. It helps dough become elastic, allowing people to create bread in all shapes and sizes. Nima is a tool directed toward people who cannot eat food with gluten, particularly those suffering from celiac disease, an autoimmune disorder which causes people with it to be unable to digest gluten. If they do eat food containing the protein, they will suffer from constipation, diarrhea, and other forms of discomfort in their digestive tract. It currently affects a relatively small percentage of the population, about 1-2%, but this is enough to drive the number to millions. The product is also geared towards people who suffer from non-celiac gluten sensitivity. Basically, this disease is newly-recognized (in 2010) and is described as a syndrome wherein patients develop various intestinal complications when eating gluten. Once the protein is removed from their diet, their condition improves. This is diagnosed when celiac disease and wheat allergy is out of the equation. Though the conditions surrounding this are relatively unknown, it is the reality millions of people face everyday. Nima is a pocket-sized device, meaning, you can bring it anywhere you want, especially if you’re going to a restaurant or a party where you cannot monitor how the the food was made or what its ingredients are. The product comes with a disposable capsule, a twist lid, and a triangle-shaped device which analyzes the gluten content of the sample you inserted. It can give you results as fast as two minutes – you would not have to wait for long to start gorging on your meal, stress-free and happy. It tells you the results of its findings not through complicated words or numbers, but by a smiley. After inserting the capsule and putting it on a device, the it shows a smile icon when the food contains no gluten or non-dangerous levels of it, or a sad face when otherwise. The device’s findings and results can be tracked and shared through the Nima app which can be downloaded via the App Store. First off, you’re supposed to put a food or a liquid sample on the capsule, which can only be used for one time only. It’s priced at $5, so it may not come in cheap, but it’s worth it to some users. Next, screw the lid cap until you feel it pop. Sealing the capsule is of vital importance – you need it to prevent any sort of contamination. Place the capsule snugly into the device. After that, press the power button found on the device and wait for at least two minutes. The results will then be shown on a display on the device’s exterior. Apart from private and personal users who will be using the product at a personal level, this may also become a regular fixture in some restaurants. It can give diners the assurance the food served to them is gluten-free, and that they don’t have to worry about it. Nima has received a number of accolades and was commended by numerous publications. Notably, it has been named as one of the best inventions of 2015 by none other than Time Magazine. The device has also been mentioned in media outlets like CBS, Huffington Post, and BuzzFeed, along with scientific institutions such as Smithsonian and Bioscience Technology. With Nima’s entry into the fray, we can definitely look forward to similar applications and devices like it in the near future. Health-conscious consumers, along with users who are experiencing some sort of disease or allergy, will find these devices handy. 6SensorLabs, the creator of Nima, is also looking at developing hardware that can recognize all proteins as well as disease-inducing bacteria like E. coli and salmonella. Note that Nima is already a breakthrough device and it certainly can speed up the progress of health-related devices and apps. Who knows, maybe in the near future, we’ll only need an iPhone and a small kit to do our testing for us. Apple has been investing heavily on science and health apps, so we will likely see more apps and devices supporting and the smartphone in the coming years. As of now though, people who have problems with gluten can rest easy and eat without having to worry about the nutritional contents of the food in their dinner tables. We highly recommend Nima for those who need to regulate and eat a gluten-free diet. You can order the starter kit at $199.